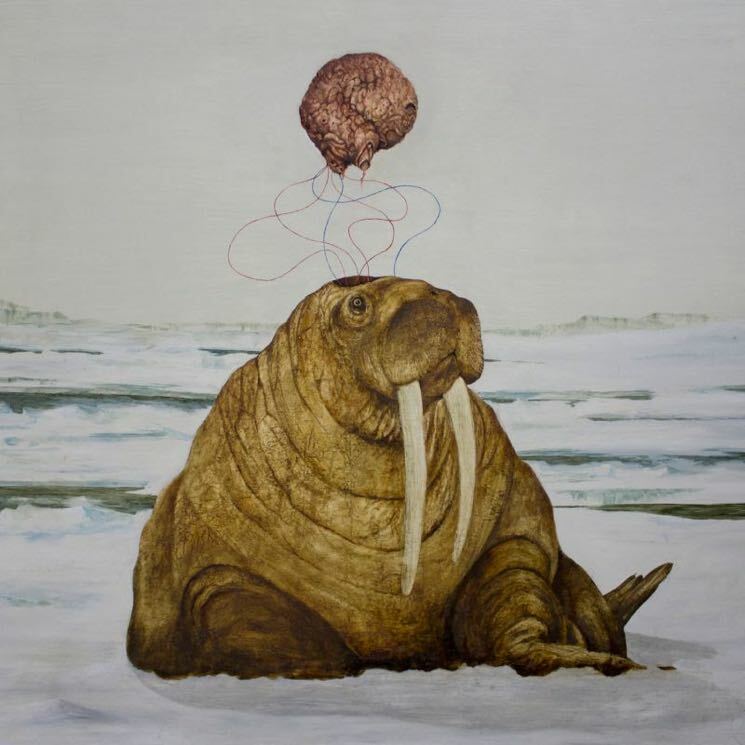 Tanya Tagaq has unveiled plans for a new EP titled Toothsayer. It's due out March 1 via Six Shooter Records. The collection originated as a sonic contribution to the National Maritime Museum's "Polar Worlds" exhibit in London, U.K., but for those who couldn't experience it in person, the five-song set will be released as a digital EP. The songs were recorded with percussionist and producer Jean Martin, and U.K. electronic artist Ash Koosha also features on "Snowblind" and "Submerged." "I named this Toothsayer because I always liked the term soothsayer, to look into the future and to speak wisely," Tagaq said in a statement. "Teeth represent protection and hunting in nature. We are going to have to get our fists up and our teeth out to carve our way to survival in this world." Toothsayer follows the release of Tagaq's 2018 book Split Tooth, which tells the story of a girl growing up in Nunvaut in the 1970s using a blend of "fiction and memoir, myth and reality, and poetry and prose." That release also came out alongside a 10-inch EP. See the full tracklisting for Toothsayer below, and stream the first offering "Snowblind" here via your favourite streaming service or down below. Tagaq also has a series of Canadian tour dates coming up. You will also find those down below.